Following the huge success of our 2014 list, we have compiled a list of the 100 Best Young Players to Watch in 2015 under our Talent Radar feature after careful evaluation and consultation. For more details on how we went about this and any other questions you may have, read these FAQs. He was David Moyes’ last signing as Toffees’ manager. Sadly, the Scot couldn’t wait to witness the meteoric rise of his shrewd buy as he jumped the boat for a cataclysmic life at Old Trafford. The Barnsley lad has been an ever present fixture in Roberto Martinez’s Everton side since the second half of the last season. Mini Analysis: He was traditionally a defensively sound right-back but Roberto Martinez’s injury crisis in the heart of defence led to his baptism as a centre half. And how has he settled to the life as a centre half! 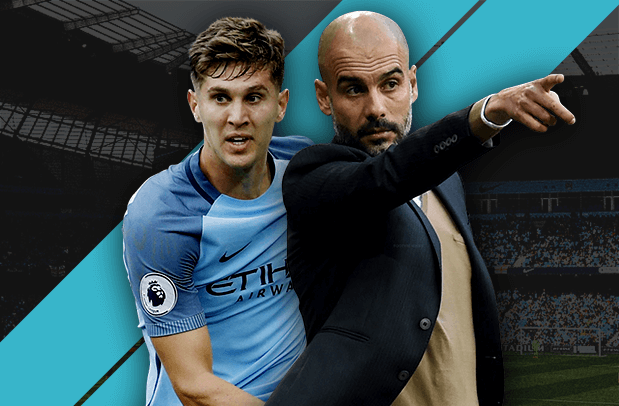 The Englishman is essentially deployed as a ball-playing defender, but he is a perfect blend of a no-nonsense limited defender and a supremely creative ball playing one. He is never shy of putting his body on the line in order to prevent the opposition from reaching towards his goal. He is just 20 and it is frightening to imagine what he will turn out to be if he has an injury free run for a minimum period of 2-3 seasons, but it is those injuries holding him back in his career, and this feature. 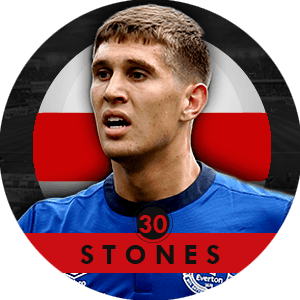 Looking back: He was pivotal to Everton’s dream run last season when they upset the apple cart by finishing fifth in the Premier League, above the likes of Tottenham Hotspurs and Manchester United. 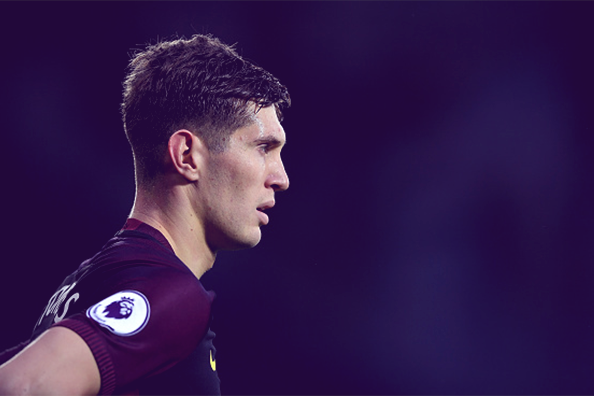 The combination of him and Sylvain Distin/Phil Jagielka gave the Toffees perfect set-up in the defensive middle of the park. 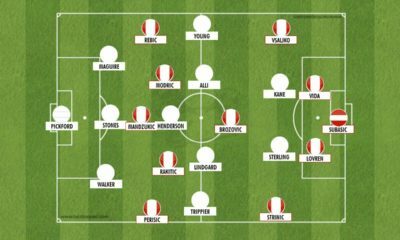 He almost made it to Roy Hodgson’s team to Brazil but Phil Jones recovered in time and retained his spot in the Three Lions side. The England international was swiftly rewarded by his club with a lucrative deal keeping him at Goodison Park till 2019. 2014 saw Elmir Nabiullin move from Rubin Kazan II up to Rubin Kazan. The youngster has impressed so far this campaign, with manager Rinat Bilyaletdinov entrusting the teenager with 15 appearances. Nabiullin has made the most of these chances with the first team, providing three assists apart from performing well in his defensive duties. Mini-Analysis: Nabiullin is adaptable along the left flank, capable of playing in left-back, left wing-back and left midfield positions. With step overs not the only thing in his arsenal, the young Russian has shown he is capable of dribbling well. More importantly, his dribbling ability is often productive rather than flashy, perplexing oppositions as he runs at them in his forward sprints. 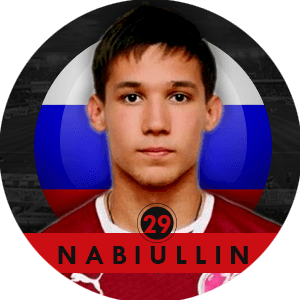 While Nabiullin still has time to balance his offensive and defensive duties, his attacking intent is often very promising as he gets into threatening areas and is capable of whipping in dangerous crosses. Looking back: The 2013/14 season saw Nabiullin have a taste of senior football, managing 6 appearances. The current season, on the other hand, will outline his proper breakthrough to the senior team. 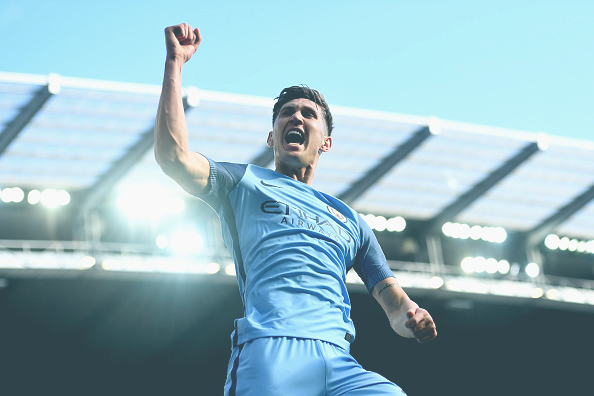 The youngster has already had 15 league appearances and has impressed many. Nabiullin was also given a go in the Russian Cup, playing the whole 120 minutes. 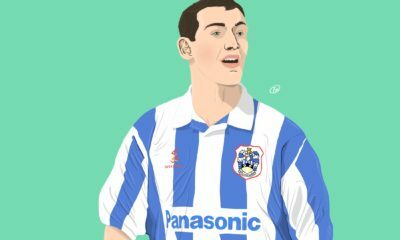 Having made his debut for his hometown club as a 17 year old nearly 3 years ago, the young full back has developed into one of the most exciting young defenders in the country. 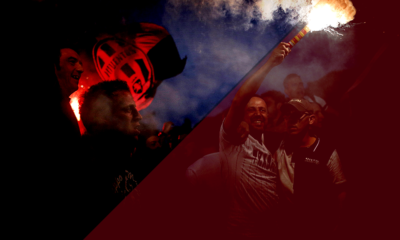 With Cagliari struggling this year, Murru has faced strong competition for the starting left back berth but is seen by many as one of the brightest young players to come through their ranks in recent years. 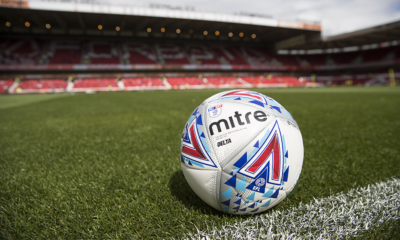 Mini-Analysis: Although Nicola Murru is extremely slight for a defender, his frame is deceptive and at almost 6 foot he is effective in the air for a full back. A naturally fit and hard-working left back, Murru has worked on the attacking side of his game and provides an effective counter attacking weapon with good pace and acceleration of the mark. Lapses in concentration can sometimes affect his normally good first touch, but as a young player with a powerful left foot and ability to play across the defensive line, he has massive potential. Looking back: Since establishing himself in the first team squad in the 2011/12 season Murru has faced a battle with Brazilian wing back Danilo Avela for the starting left back role. 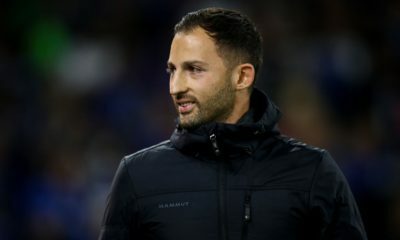 It had seemed that Murru would finally secure the role as his own this summer, as Avela edged closer to a move to Leeds United. 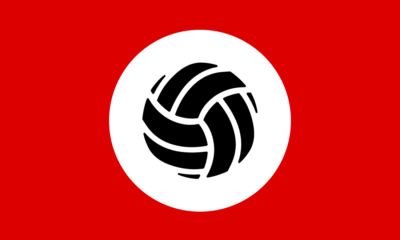 This deal collapsed however, and the more attacking Avela has been favoured by coach ZdenekZeman. 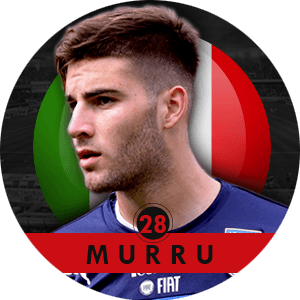 None the less, Murru is approaching 40 appearances for Cagliari, and this potential has also been recognised by the national set up, with appearances from every age group from the Under 17’s to the Under 21’s. Unlike other talents in this top, Joshua Brenet is not exactly a well-known name in the football world. With only 20 years of age, a small build and a relatively unattractive position (right-back), he isn’t exactly the player you’ll see videos of every weekend. 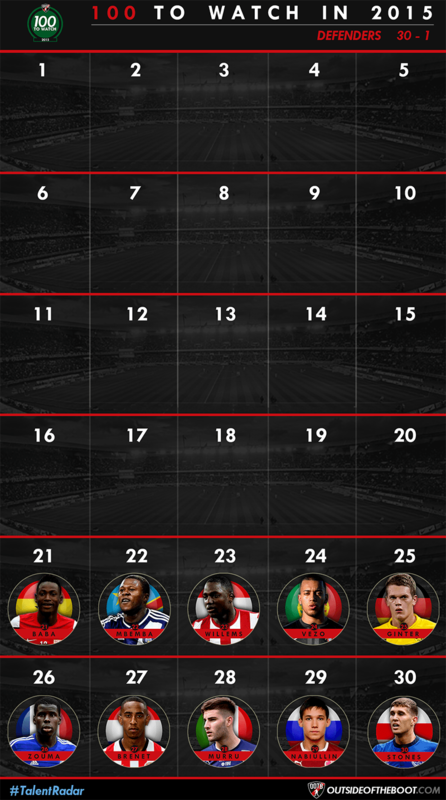 Despite that, he’s having a great season with PSV Eindhoven, and slowly walking towards the Dutch national team. Mini-analysis: The Dutch player, originally from Curaçao, has played almost every PSV game this season, and that isn’t by coincidence: with his great pace, he’s been a threat going forward the whole season. Bursting down the right wing, the likes of Jurgen Locadia and Luuk de Jong have enjoyed his runs. He’s also scored a couple of headers, thanks to his quite frightening spring. But a quick look at his statistics doesn’t exactly impress much. 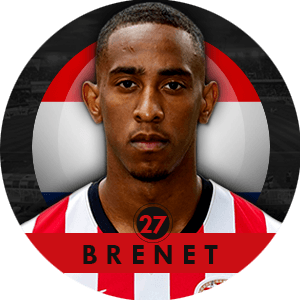 Once again, there is a reason for that: unlike many other Dutch defenders who are great going forward but not so great defensively (Gregory van der Wiel or Jetro Willems), Brenet is a very solid defender. 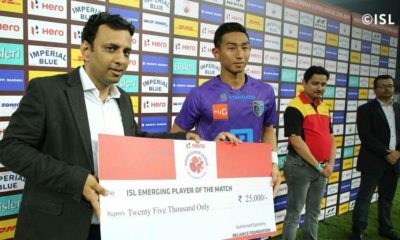 Able to play as a right back, left back and even defensive midfield, he as a real defensive mind, and a mind-boggling talent to read the game. Looking back: The young Dutchman has been fighting for the right-back spot with Santiago Arias, the Colombian player. He hasn’t always played at right back, and has had to accept a role at left back from time to time. Despite these setbacks, whenever he’s played, Joshua Brenet has impressed a lot. It’s been his revelation year, and he will now need to keep his form up. One look at him and you’d be forgiven for thinking of him as a veteran defender who has been playing at Chelsea for years. Yet when you come to know Kurt Zouma is only 20 years old, you begin to realize the potential this youngster has. Not only is he physically intimidating already, he also has a good sense of what being a defender really means. Mini-Analysis: One common theme running through all the managers he has played for is that they describe him as an exceptional leader on the pitch. Along with being excellent in the air and having a sound reading of the game, Zouma looks like a natural in the back four. 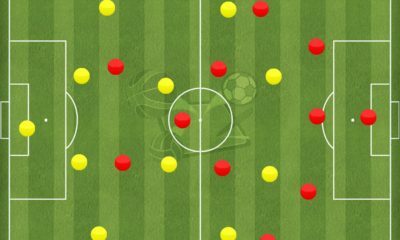 Also, given his physical prowess, he has a good presence in the box and is not afraid to get into a tangle or two with the attacker – a trait becoming more and more important nowadays. 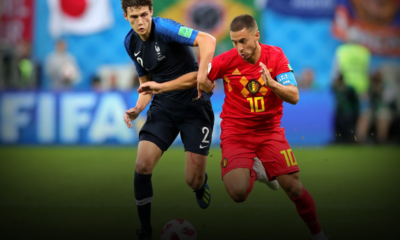 Those who have seen him grow believe that these are the very qualities that will help him lead his national team one day – a thought which current France manager Didier Deschamps echoed recently. Also being touted as a long-term replacement for John Terry at Chelsea, he has been set a huge target, both at the club and at the national level. 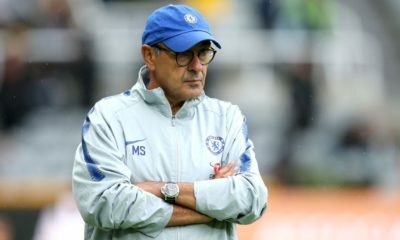 Looking Back: Although he has made only a handful of appearances for Chelsea since coming back from loan at the start of the 2014-15 season, he managed to do what very few people do – impress Jose Mourinho in that time. The burly Frenchman is now the immediate back-up for Chelsea’s first-choice pairing in the center of defence and to that effect, recently came on for a 45-minute appearance in the Premier League against Tottenham as a replacement for Gary Cahill. Having previously only played League Cup and Champions League games, Zouma did not look out of place at all in the Premier League and managed to continue the good work by keeping a clean sheet in that game. But the lack of potential game time has restrained his placing higher up in this feature, though his ability isn’t in question. Initially, deployed in the centre of the midfield and regarded as a very exciting central midfield prospect, the situation of Freiburg’s diminishing squad in 2012 forced Matthias Ginter to be used in defense. Ginter has won the Fritz Walter Gold Medal (an award given to the best youngsters in Germany), 2 times – once with the German U19 and once with the German U21 side. Mini-Analysis: Ginter, tall and daunting is blessed with impressive skill of reading the game and for being 1.9 meters tall, he is surprisingly very quick off his feet. Ginter’s height compliments his reading of the game, as he is able to head away the dangerous long balls easily during counter attacks, while he is also a goal threat from free-kicks and corners while he moves up to support the attack. 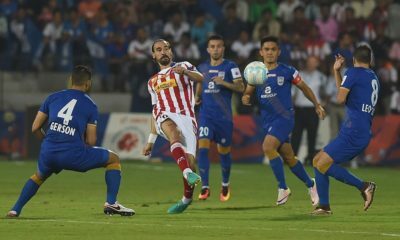 Also, his ball distribution, physicality and his knowledge on how to fit in as a central midfielder makes him not only versatile but an extremely important asset for the team. Looking back: Ginter featured in every Bundesliga game of the second half of 2013-14 for Freiburg and also made his debut for Germany against Chile in March. 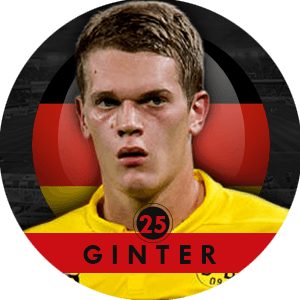 2014 turned out to be a very crucial year for Ginter career wise, as he was able to secure a transfer to Borussia Dortmund in the summer and also was part of the 23 man German squad which was crowned as world champions in Brazil in July 2014. Though he is a World Cup winner, Ginter did not make a single appearance for Germany in the competition, but for a 20 year old to be involved in the competition alongside Hummels, Mertesacker and Boateng would have surely been a rich learning experience. Rúben Miguel Nunes Vez aka Ruben Vezo is a 20 year old Portuguese central defender plying his trade at Spanish premier division side Valencia. He signed for Los Che towards the end of 2013 and completed his move in the January transfer window. Mini-Analysis: Vezo is a solid defender who has shown that he is capable of first team action at the highest level. He has a proclivity to move forward in support when required. Being 1.84m tall and of strong built allows him to be strong in the air and a strong contender on the aerial challenges. Good positioning is another strong attribute of his game. He has the talent and attributes to make it big and be a reliable centre back. Looking back: 2013-14 season turned out to be a remarkable one for the Setúbal native. 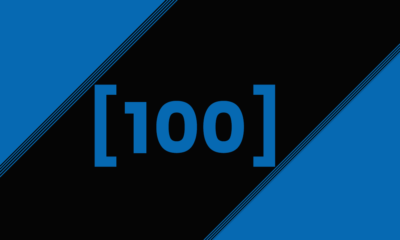 Having joined the local Vitória Futebol Clube’s youth system at the age of 11, he was promoted to the first team this past season, subsequently making his debut. It didn’t take much for the bigger clubs to notice his prodigious talent, after only 12 appearances for Os Sadinos, Valencia signed him on a four-year contract for a reported fee of €1.5 million. He made eight appearances in his debut season being used primarily as a backup scoring in his first start in the process to secure a 2-1 comeback win against Granada. He also made two appearances for the Portuguese U-21 side. From a rising star certainly destined for bigger and better things, to someone who’s just as capable of leaking like a sieve on defense, Jetro Willems serves as a vital cog to PSV’s attack and is arguably the future of the left back position for the Dutch national team. 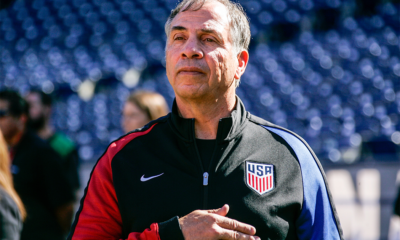 However, will his game grow to the all-around demands required to succeed at the highest level? 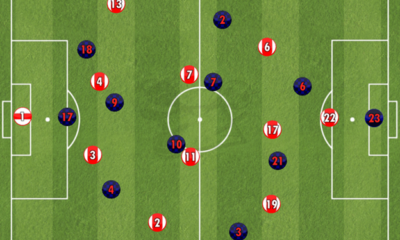 Mini-analysis: Willems is, in theory, a prototypical modern fullback in today’s world. 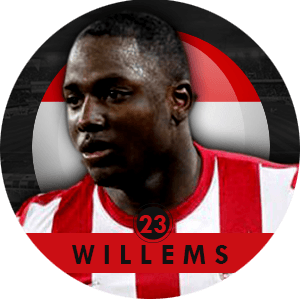 Not tall or a winner in the air, but strong, abundant with pace, willing to take on his marker and hard-working, Willems is capable of marauding up and down the sideline all game long with his work rate. However, with this adventurous spirit come mistakes, being caught out of position and inconsistency. Most of the physical tools are there but the key question is if he can develop the discipline and game knowledge to put alongside his physical gifts in order to form the complete package? If he does, we might be looking at one of the up-and-coming stars of the Dutch world who’ll regularly be a starter for a bigger European side. 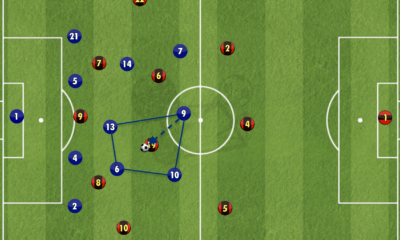 Here is a detailed Scout Report on Jetro Willems. Looking back: Willems has been a regular figure in national team duty as he took part in the Dutch campaign for Euro 2012 glory at the tender age of 18 where he was clearly outmatched (though few national team-mates covered themselves in glory that year). Unfortunately for him, he was ruled out of the 2014 World Cup due to knee injury and missed four months of action. However, he’s healthy and in good form now and is a key component to PSV’s strong start in the league as he has two goals and six assists to his name. Playing for one of the best developmental clubs in Europe, Chancel Mbemba has made his mark in a league that prides itself on the youth that come through, focusing more on attacking side of the game than defensive. But having displayed some fantastic performances, he is already held in high regard by most viewers. Mini-Analysis: A solid body structure to boast with his contribution to the attacking side as well, Mbemba is the definition of a ‘beast of a defender’. While not the most tactically intelligent, he more than makes up for it with spectacular tackles and last ditch challenges. He can shackle a forward and dampen his game, but he may struggle slightly too smartly mark; again, not something that necessarily holds him back. 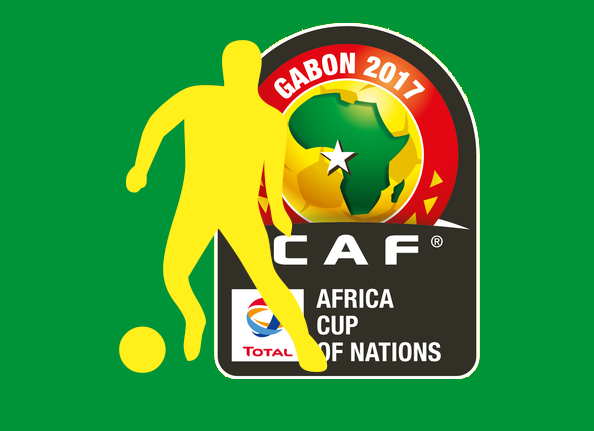 But the biggest stand-out point of Mbemba is his ability going forward, while he’s a genuine threat in the air and with the use of his strength, he is remarkably composed on the ball, keeping up with the modern times of a ball-playing defender. 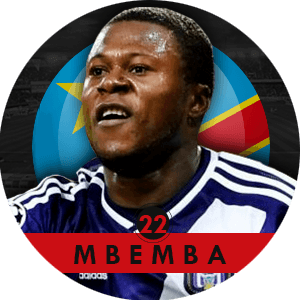 Looking back: A successful 2014 saw Mbemba regularly feature in an Anderlecht side that retained it’s Belgian Pro League crown. He started nearly every game as he cemented his place in a youthful side and the new season was no different with the Congolese international making his mark in Champions League football as well. Though he hasn’t gone much higher in terms of what his ranking was in last year’s list, his consecutive appearances shows his consistency. 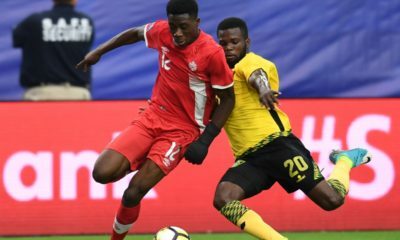 There is a class of footballers who have all the raw talent and performance numbers but are underexposed at earlier age, and it seems Abdul Rahman Baba resides among these as yet unheralded footballers. When considering his youthfulness (20 years of age) and the worldwide potential he displays week in week out, is his meteoric rise as inevitable as it seems? How long before the biggest clubs in Europe begin making offers he cannot refuse? Mini Analysis: Rahman-Baba is a catalyst for FC Augsburg, keeping the left-flank locked down whilst being a springboard for the clubs rather formidable counter attack. This two-way left-back has fast become one of the most capable in Germany, boasting the highest tackle rate in the Bundesliga while more than holding his own in the air. At 5’10,” the Ghanaian born international is often classified as a shutdown defender, however, his four assists (topping Augsburg’s assist chart and tied for third in the Bundesliga at the time of writing) showcase yet another highly desirable facet of an ever-expanding skill set. Further, with his partnership on the left with Tobias Werner, the duo rightfully forms a preferred avenue of attack for manager Markus Weinzieri. 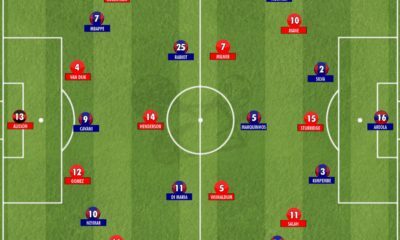 The Baba-Werner collective have thus far bagged four goals and six assist, 55% of the clubs goal production. Looking Back: After a brilliant spell at Greuther Furth between the summer of 2012 and August of this year, a 2.5million euro transfer to Augsburg finally upgraded Fuggerstadter’s left-back slot to the competency level of their right which is patrolled by Dutchman Paul Verhaegh. 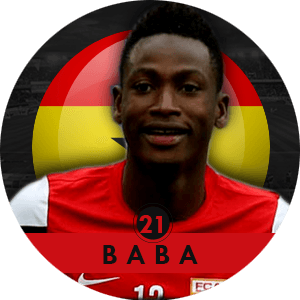 Baba, and his top ranked Bundesliga index rating are in place for now and he must continue to dismiss any questions about consistency and durability through strong displays which has helped the club climb up the league.